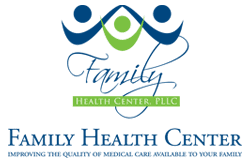 If you’re among the 50 million Americans who suffer from allergies, board-certified family physician Raye-Anne Ayo, MD, at Family Health Center, PLLC can help. Dr. Ayo offers allergy testing and shots at her private practice in Farragut, Tennessee. To find relief from allergies that don’t improve with over-the-counter medication, call the office or book an appointment online today. Allergies are a major cause of sickness in the United States. When you have an allergy, your body responds to a substance (allergen) that normally shouldn’t cause an immune response. Some allergies cause symptoms that resemble the common cold. If you sneeze a lot or suffer from a runny nose and watery eyes, you may have a seasonal allergy, such as hay fever. Fortunately, hay fever is one of the allergies that’s easiest to treat with allergy shots. If Dr. Ayo suspects you have allergies, she may recommend an allergy test to discover exactly what causes an allergic reaction. There are two ways to test for allergies: blood tests and skin tests. Skin tests involve pricking the surface of your skin and applying a small drop of a particular allergen. Dr. Ayo can test several allergens at the same time on separate patches of skin. If you’re allergic to something, a reaction usually appears within 20 minutes. With blood tests, it takes longer to get the results, but they offer the benefit of requiring only one needle prick. Dr. Ayo discusses which type of test is best for you or your child during your consultation. The best way to prevent an allergic reaction is to avoid the allergens that affect you. However, this often isn’t possible. Allergy shots are injections that help your body get used to an allergen over time so you no longer experience a reaction. Each allergy shot contains a small amount of the allergen — just enough to stimulate your immune system but not enough to trigger a reaction. You continue to receive these shots at regular intervals for about three to five years. Over time, your immune system builds up a tolerance to the allergens. Allergy shots can help you find relief when allergy medications fail to work. Shots may also reduce your long-term use of allergy medicine. Allergy shots aren’t used for food allergies. To find out if you’re a good candidate for allergy shots, call Family Health Center, PLLC or book an appointment online today.